Kimber’s wisdom and intelligence make his participation in the school community invaluable. He is a gifted musician who sees the world through the lense of mathematics and science. His rapport with students comes from valuing their learning styles and creative insights. Kimber has a B.A. in Liberal Arts & Sciences and a B.S. in Physics from Virginia Polytechnic Institute & State University. 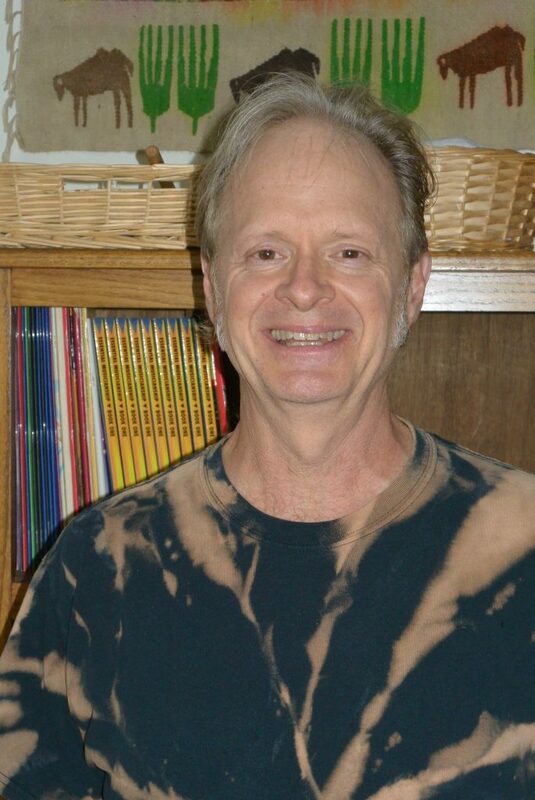 He has taught math and physics in public high school, given private music lessons, and tutored university faculty and staff in various techniques of electronic information gathering during the early days of the web. Kimber has been employed as an electrical engineer and technician in the defense and music industries. He currently enjoys teaching mathematics, chemistry, physics and helping with gardening for the Belle Meade Community Supported Agriculture (CSA) program, as well as tending his family garden and farm in Clarke County. Kimber is the manager emeritus of the Clarke County Farmers’ Market Association and a Board Member of the Clarke County Historical Association. His greatest enjoyment is playing music with his wife and son.